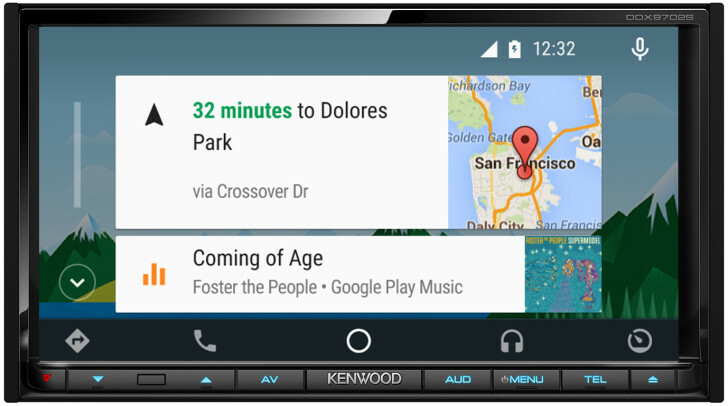 Pioneer has been the only company thus far to ship Android Auto-equipped aftermarket head units, but now Kenwood has made good on its previous announcement. The DDX9902S and DDX9702S are shipping to retailers, but the pricing will be obscene. Kenwood's MSRP on the units is $900 (DDX9702S) and $950 (DDX9902S). These head units both have a 6.95-inch resistive (!) touchscreen, HD radio, HDMI input, CD/DVD, and SiriusXM support. Kenwood says they're the only receivers on the market that can switch between Android Auto and CarPlay without modifying any system settings, which is... important? Make sure your car supports double-DIN head units before you get too excited, though. The reason for the $50 price difference is not clear to me. As with the Pioneer units, you can expect these ones to come down a lot from MSRP. The DDX9902S is listed on Amazon as out of stock, but earlier it had a price of $750. Yeah, still really expensive, but that's how aftermarket receivers are.